"Rolling Red Rock" 2003, Canyon and Red Rock Series, acrylic on canvas, 18 x 10 feet (549 x 305 cm). 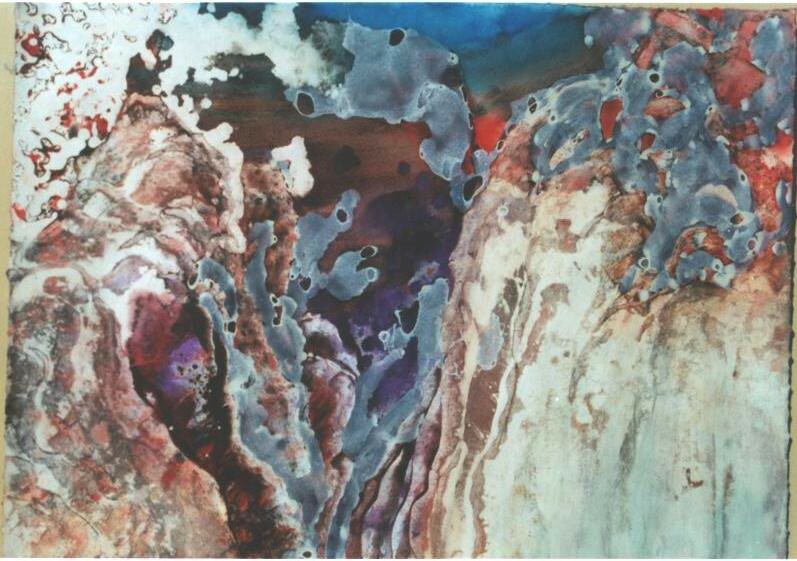 "Red Rock Canyon", Canyon and Red Rock Series. "Red Rock River", Canyon and Red Rock Series. "Red Rock Stream", Canyon and Red Rock Series.